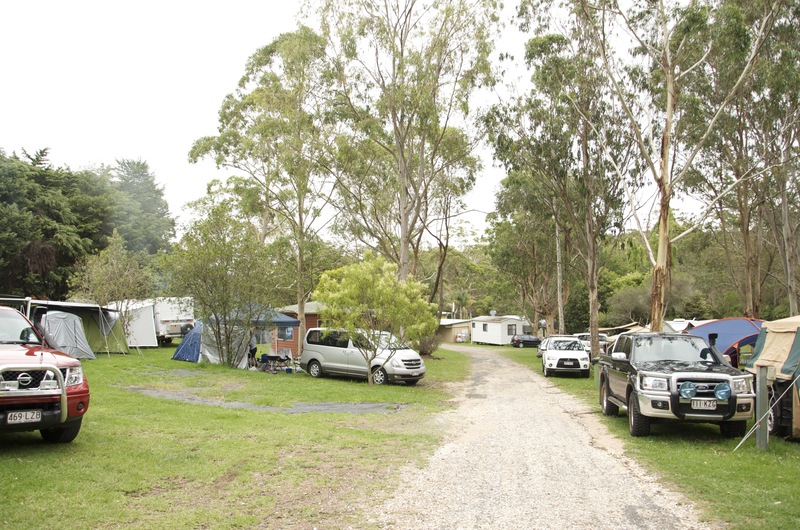 There is a big choice of campsites and caravan parks around the Granite Belt. 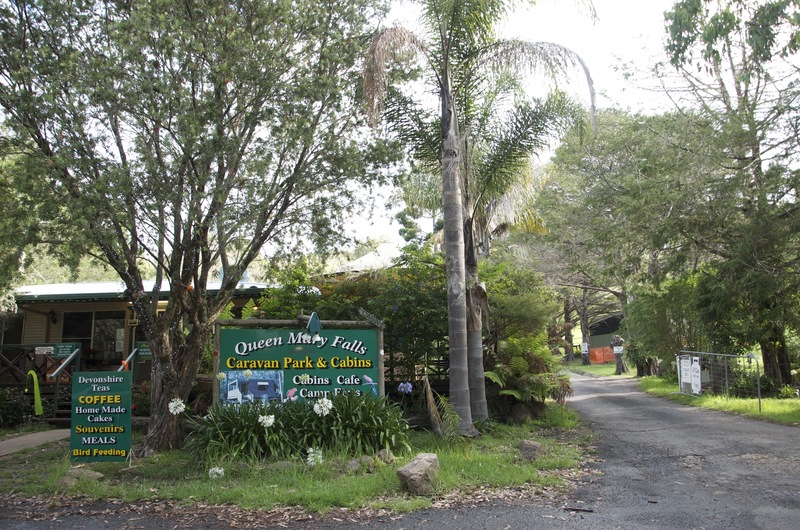 If you plan to visit Queen Mary Falls and the neighbouring waterfalls, this caravan park is in a perfect spot opposite the entrance to the falls and surrounded by national park and wildlife. 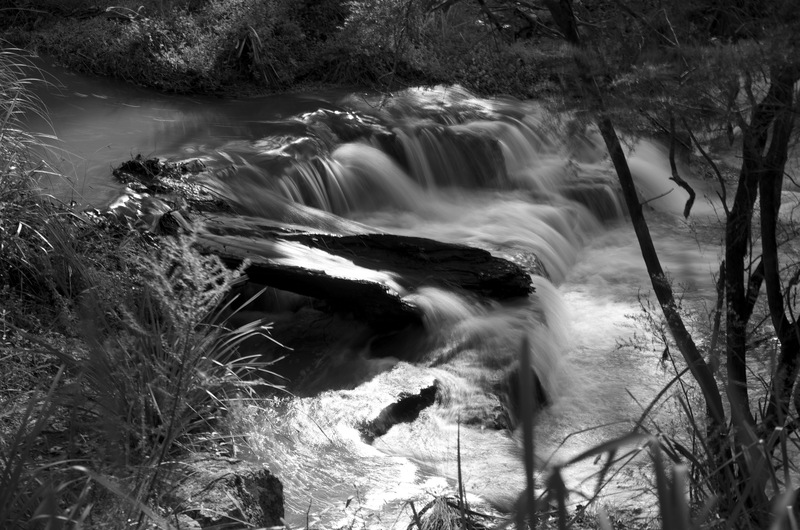 You can walk a short distance to a lookout or a longer loop down to the base of the waterfall. We stayed for three nights just after Christmas – note that they often operate a minimum stay at peak periods. This review is just our impression of the site. 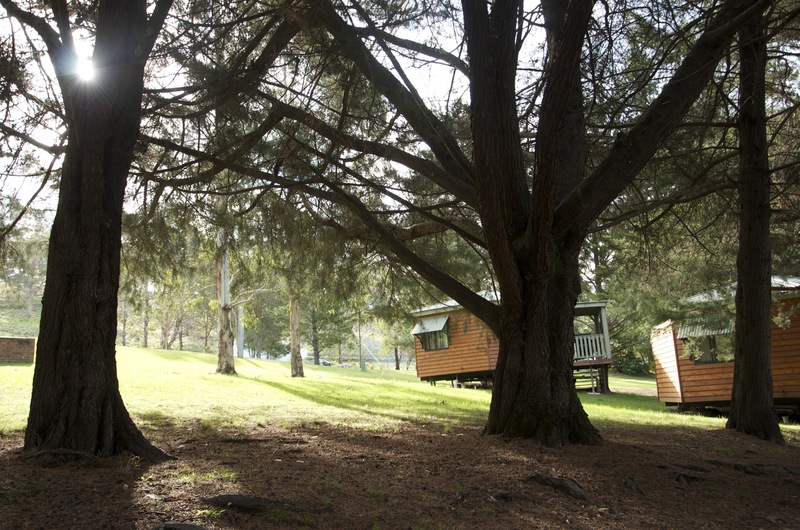 For full details about facilities and prices, check out the website: www.queenmaryfallscaravanpark.com.au. 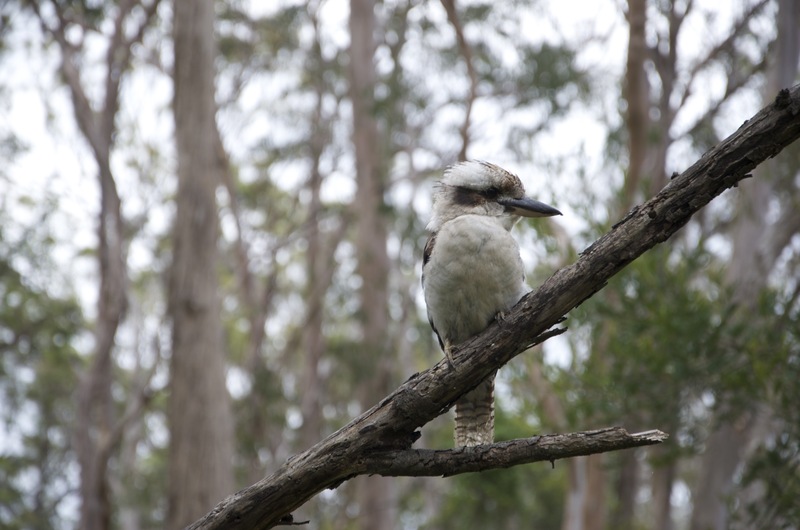 The site is popular with families and is a real draw card for nature lovers. 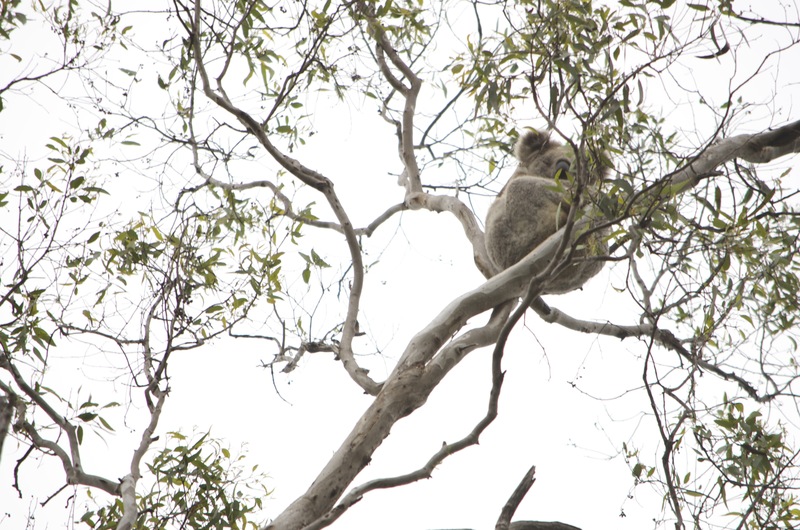 We had wallabies playing next to our pitch and koalas and kookaburras in the tree above. There are all kinds of tropical birds swooping through the site and a feeding station by reception where you can hand feed king parrots and rosellas. The only creatures that were less welcome were the flies, who were prolific at certain times of day, although to be expected when you’re camping next to a field of cattle. 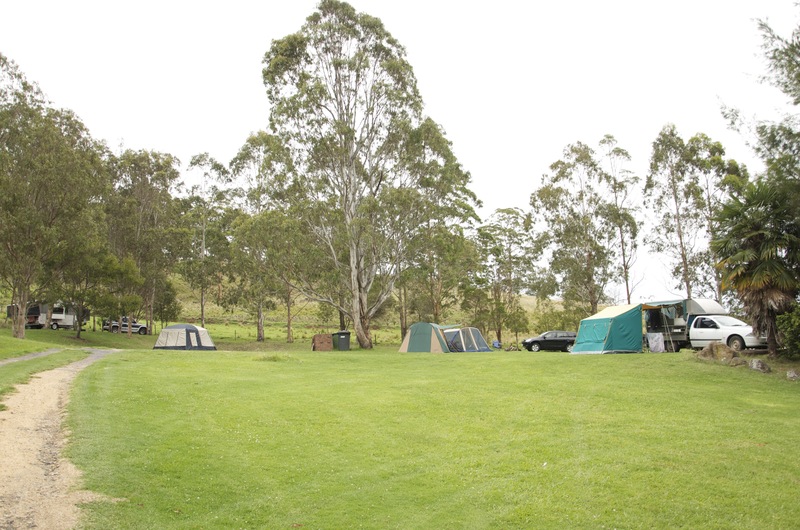 The area for powered sites and cabins is fairly small but there is a beautiful and spacious grassy field for unpowered tents and vans, which was only sparsely populated. There are loads of spots for campfires which were well used at dusk, and helped to keep the flies at bay. They sell firewood at reception. One of the best things is the onsite café/restaurant/shop offering cream teas and light meals; it was always doing a roaring trade when we were there. The washblocks let the park down, being a bit smelly and dingy with no hot water in the basins – not somewhere you’d want to linger longer than necessary. There was no Optus phone reception in the site or surrounding area and Telstra was very sketchy. 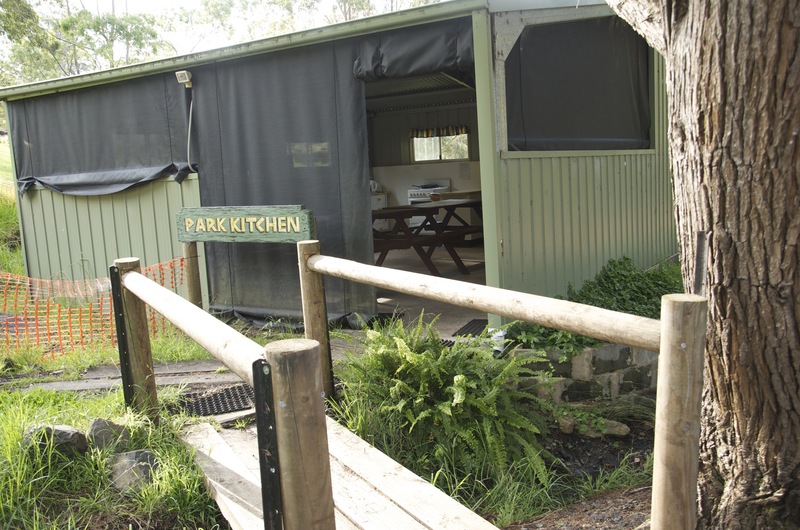 A short drive from Warwick and just steps away from Queen Mary Falls, the caravan park is in a great spot for exploring some of the best bushwalks and waterfalls in the Granite Belt. Nature lovers and bird enthusiasts will be in their element. 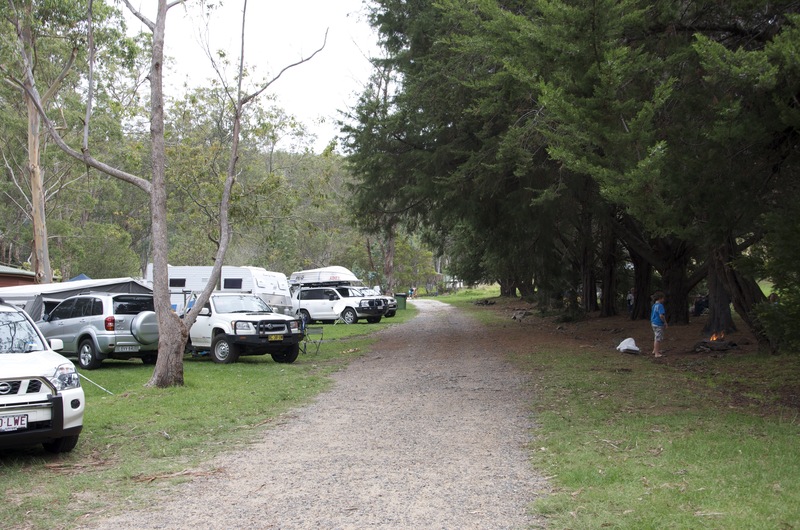 This entry was posted in Campsite reviews and tagged best campsite in the Granite Belt, best campsites Warwick, campervanning Queensland, campsite reviews, caravanning Queensland, Killarney Qld, queen mary falls, Queen Mary Falls Caravan Park and Cabins, Queensland camping, where to stay in the Granite Belt, where to stay in Warwick by Rach. Bookmark the permalink. Thanks for the great reviews, you’re covering areas within reach of us too (from the Gold Coast). We love the Granite Belt and try to take a winter break there each year so we can legitimately wear our big coats and pick up some plonk from the wineries. We have a Fiat van that’s a standard van most of the time but takes a bed set-up we built to suit (30 minute set-up, 20 mins down), an RV shade from BCF one side and a makeshift awning on the other side. 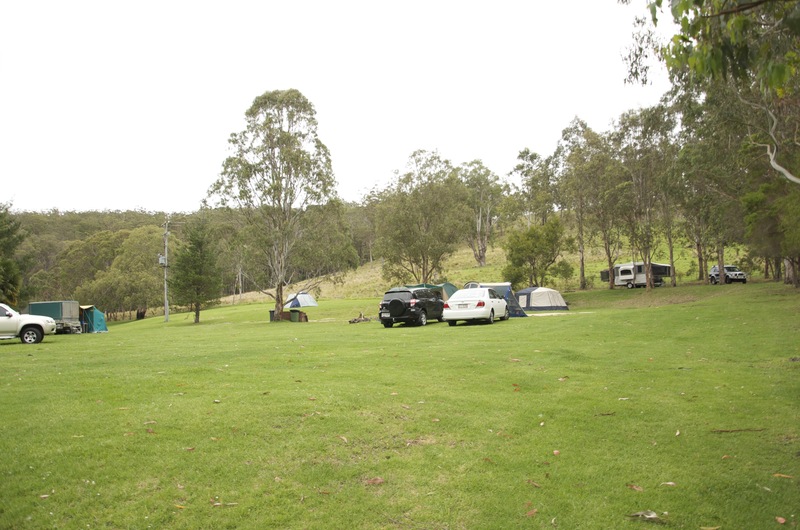 Have you tried Mount Barney Lodge out past Beaudesert?.It’s our favourite spot and well worth checking out. Happy travels! Thanks for your kind comment. We loved the Granite Belt too – are you warm enough in your van during the winter then? We wondered if it might get too chilly at night. We haven’t been to Mount Barney yet but will definitely add it to the list – thanks!